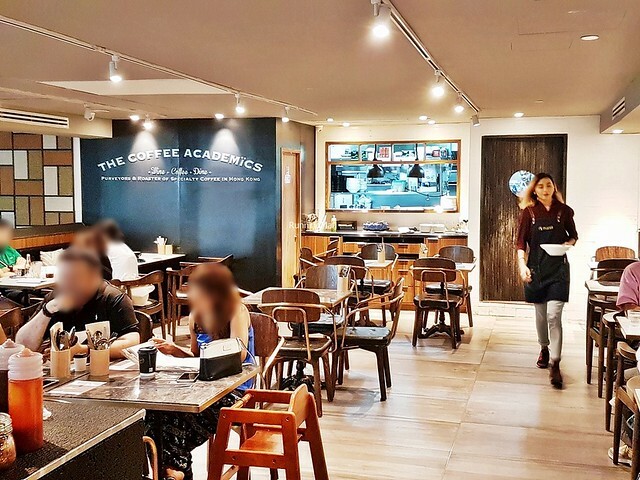 Originally founded in Hong Kong in 2010, The Coffee Academics first opened in Singapore in November 2015. 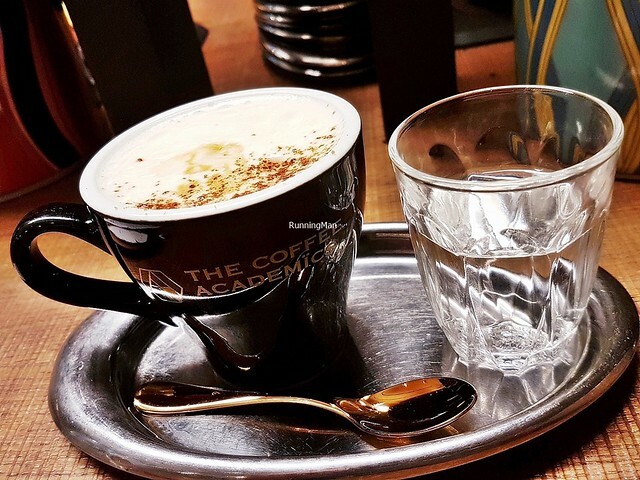 Particularly known for their range of coffees, and their emphasis on serving good quality cups, The Coffee Academics also has a good selection of Modern European and Modern Asian dishes that are innovative and tasty. 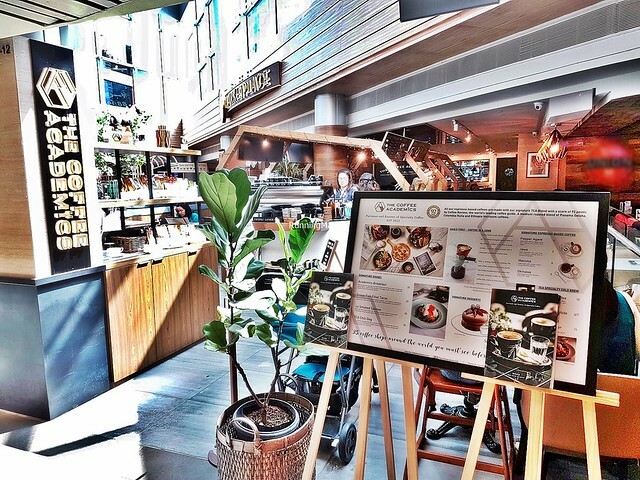 Ambience at The Coffee Academics is welcoming and relaxing. 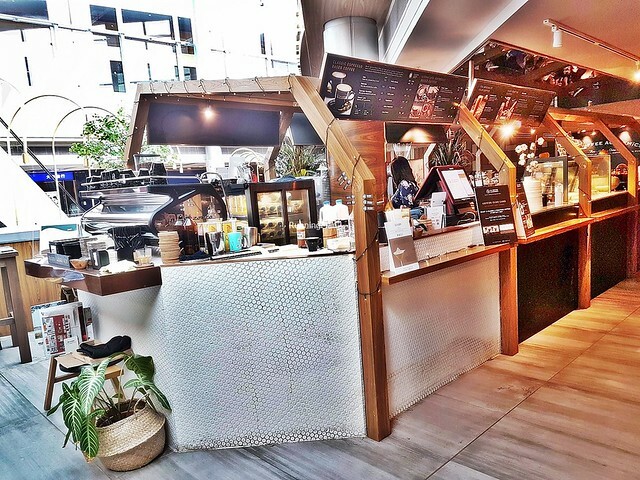 The comfortable cushioned furniture is neatly laid out within the ample floor space, decked in earthy warm tones of wood, brick, black, white, and gold. Warm but low lighting casts a soft and intimate glow overhead. The centerpiece is the long bar and dessert display, which looks attractive. 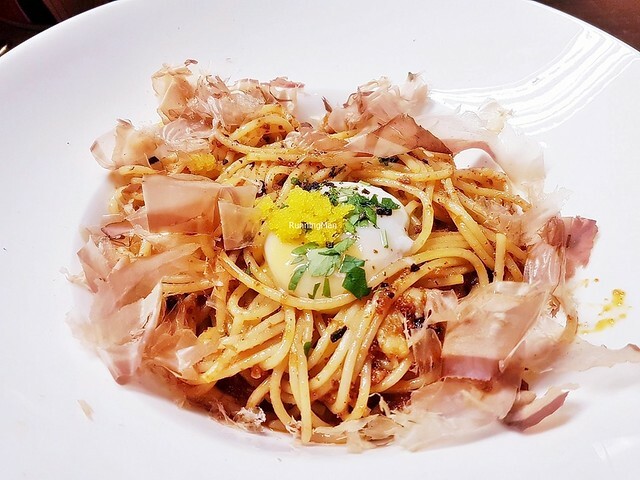 Well suited for lingering meals, though expect a queue because of it. 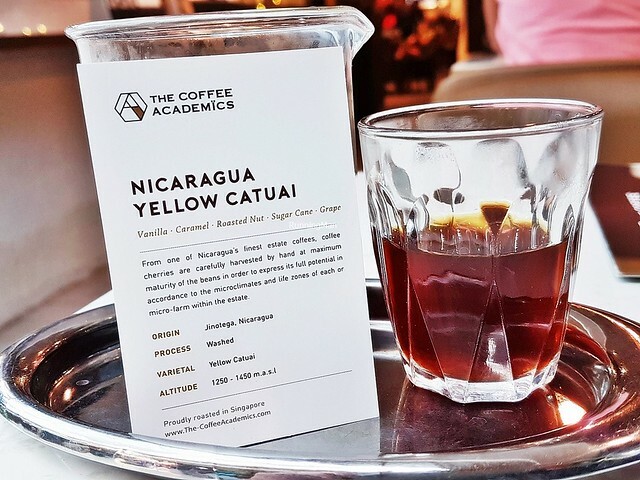 Service at The Coffee Academics is decent. 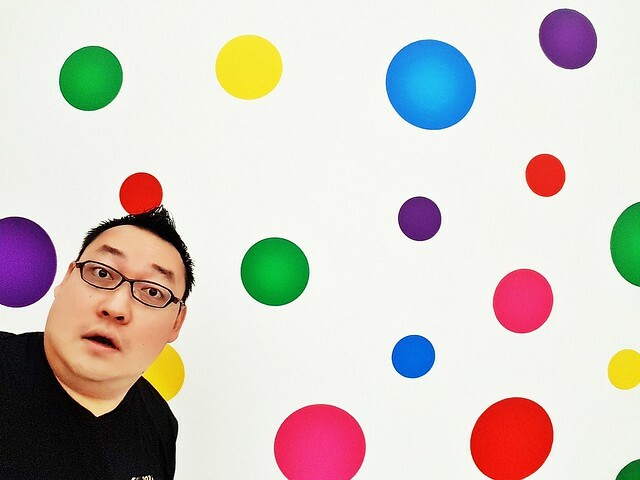 Though staff are busy rushing up and down, when speaking with guests, they appear unhurried and casual. 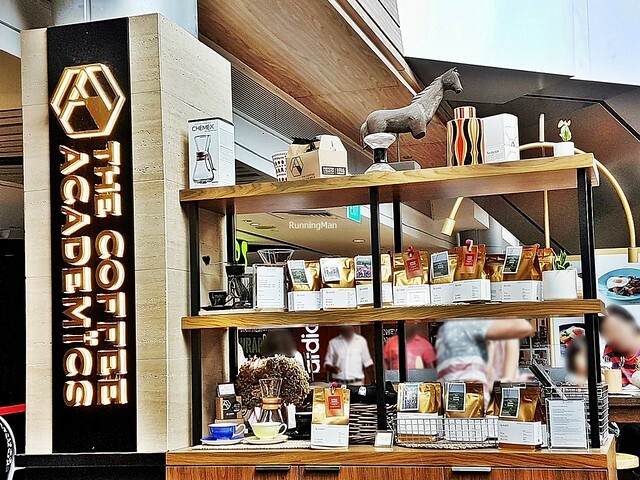 They display decent product knowledge, particularly on coffee and beverages, less so on food. 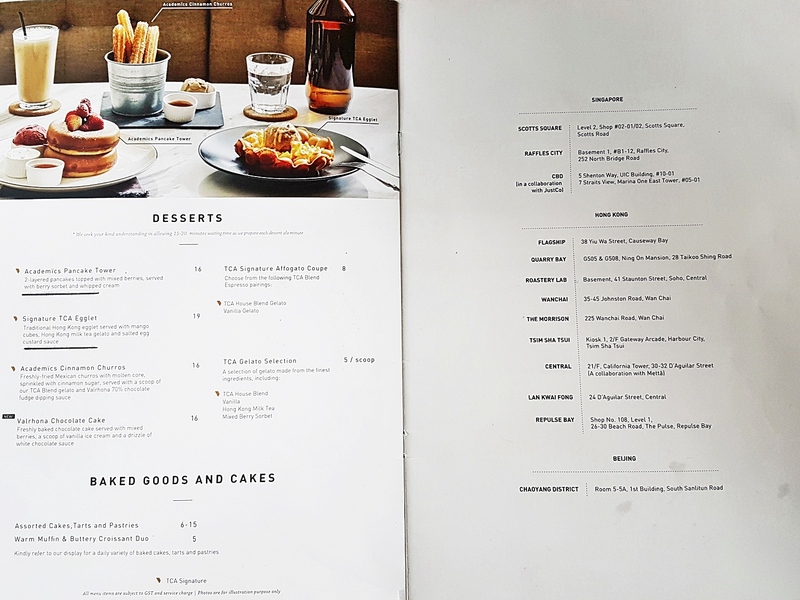 I also note that because the place is busy, empty / dirty tables are usually left for a while, staff only clear them when preparing a table for guests in the queue. 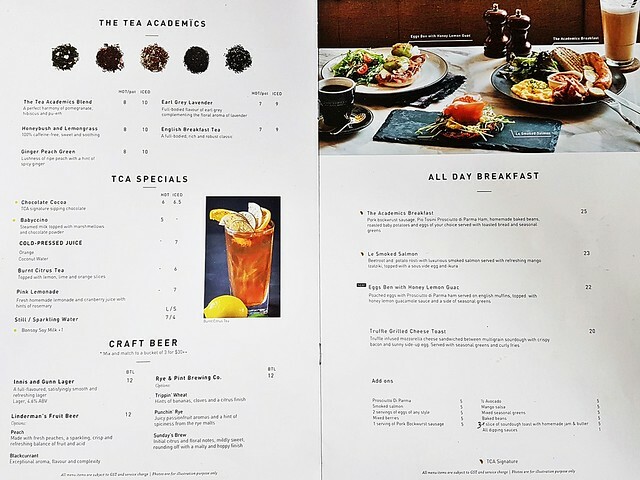 Food at The Coffee Academics is distinctly fusion; Modern European and Modern Asian, with a good range of breakfast / brunch items, salads, pastas, and desserts. 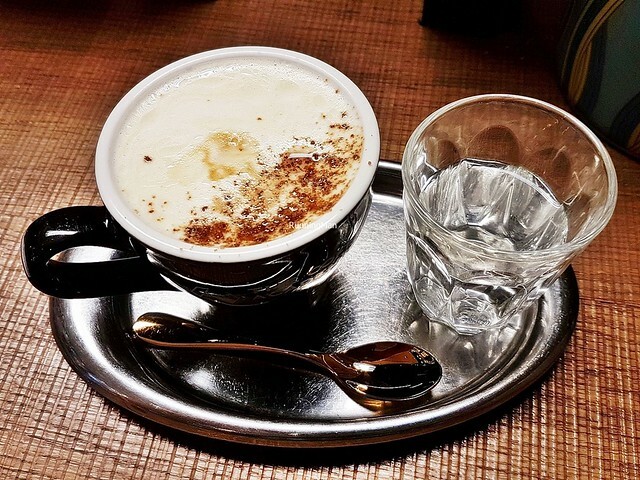 However, most people come for their coffee, which is lovingly prepared, and of good quality. 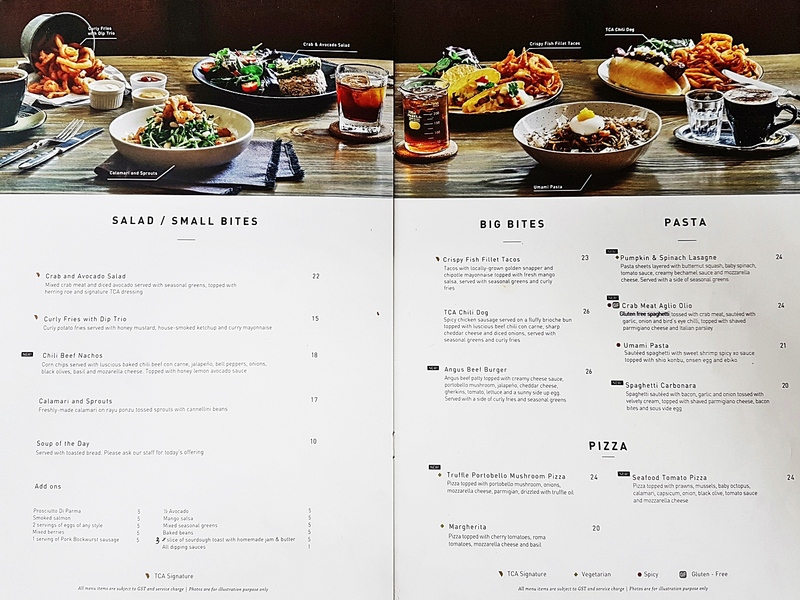 Dishes are tasty, and portions are large for individuals; sharing is recommended. 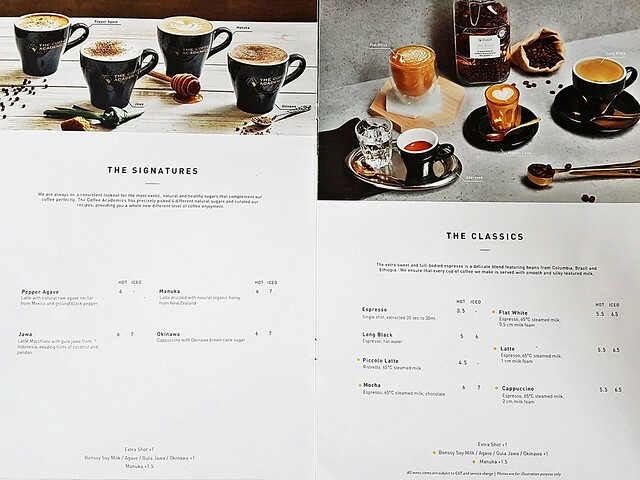 Prices are more expensive compared to other cafes, budget about SGD $37 per person for a meal here. 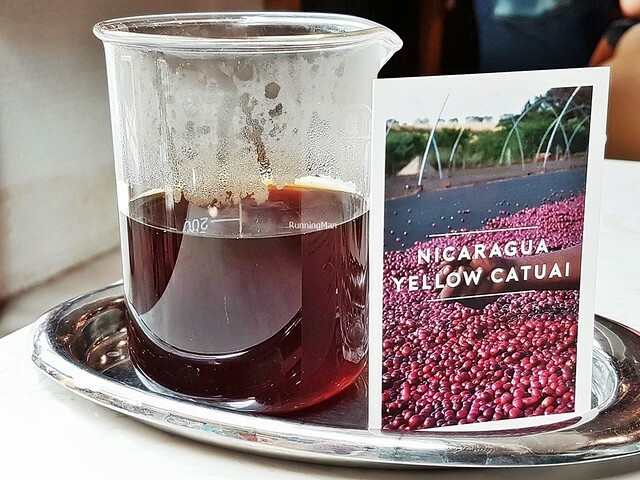 Sourced from the city of Jinotega in Nicaragua, the climate and hand harvested coffee cherries that go into making the Coffee Nicaragua Yellow Catuai (SGD $8) result in the brew having a well rounded richness, with slight tones of roast. The texture is smooth with medium acidity, and the taste carries notes of vanilla, roasted peanuts, red grapes, and sugar cane. Brewed in pour-over fashion. Good! The Coffee Latte Macchiato Gula Jawa (SGD $6), also called simply 'Jawa' on the menu, has a decent latte macchiato infused with Indonesian gula jawa / coconut sugar, which gives it a light floral earthy sweet flavour. What I find puzzling was the shot of water served on the side, which staff failed to explain what it's for. 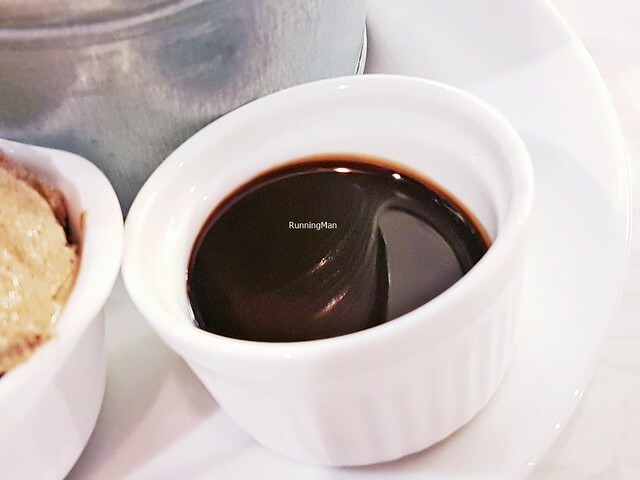 I surmise it's for diluting the coffee in case it's too sweet... but overall, this knocked the experience of drinking a good beverage down a notch. 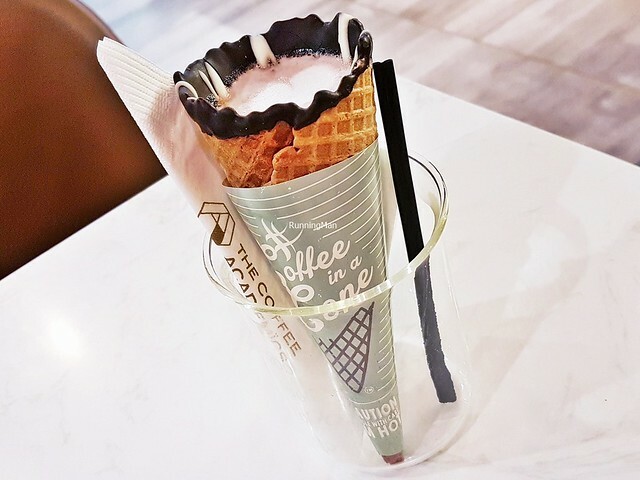 The Coffee Latte Pepper Agave (SGD $6) has a pretty good latte, smooth and robust, infused with agave nectar / syrup, and sprinkled with black pepper. 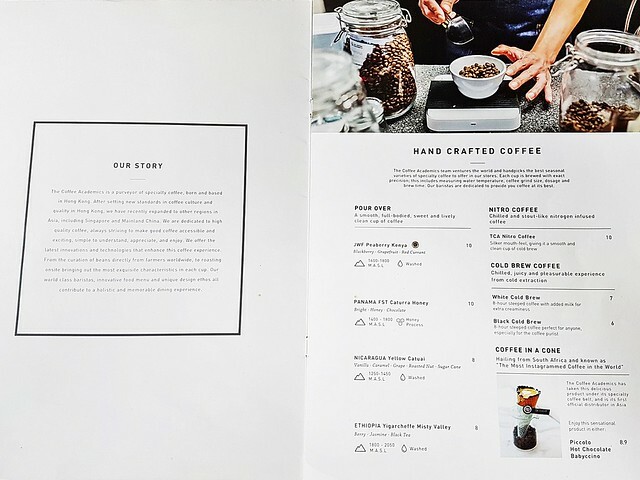 Bold roasted notes, layered with the sweet spicy flavours. 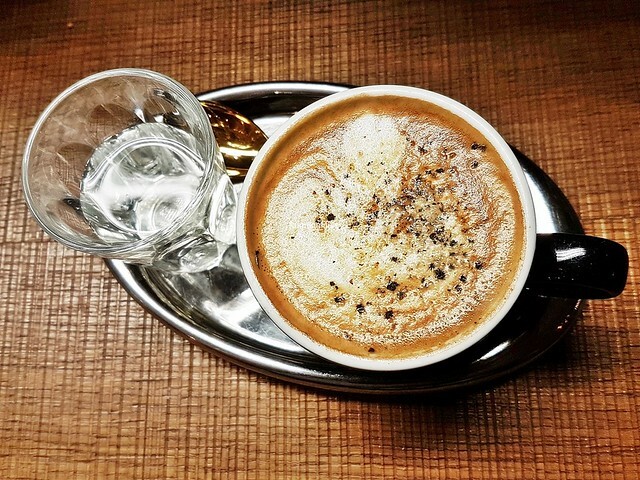 Never knew that pepper pairs so well with coffee. Good! 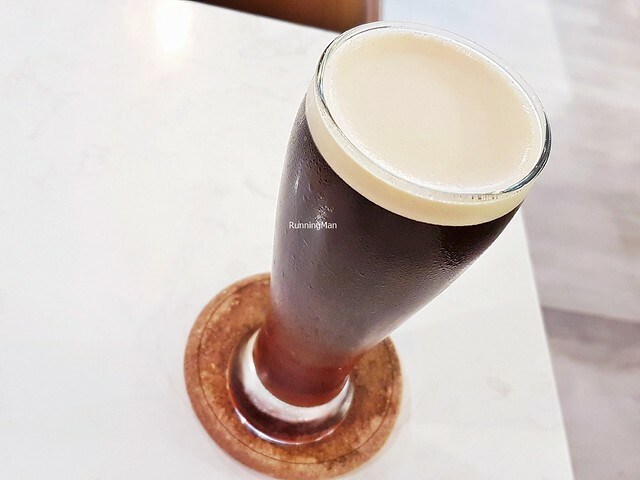 The TCA Nitro Coffee (SGD $10) is a chilled, nitrogen infused black coffee. 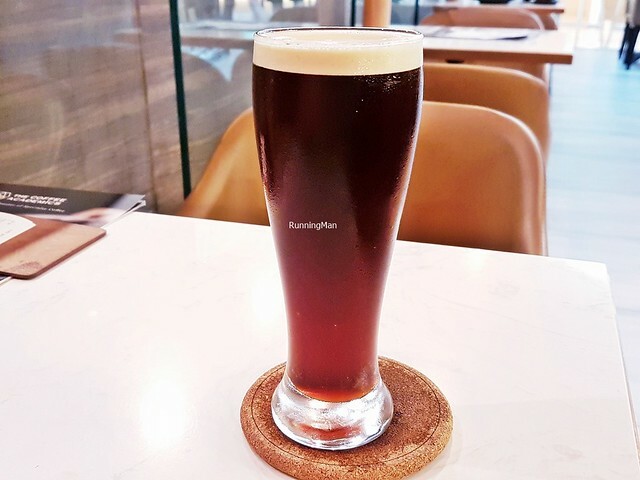 Texture is rich and creamy, almost like a beer stout, with a silky mouthfeel. 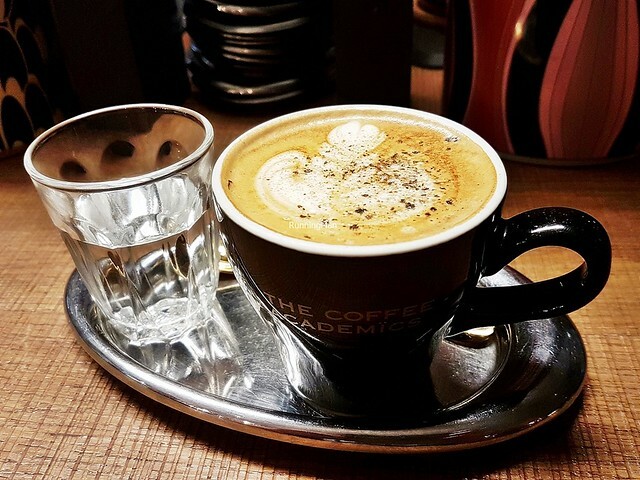 Robust notes of roasted coffee beans, smooth and toasty. Good! 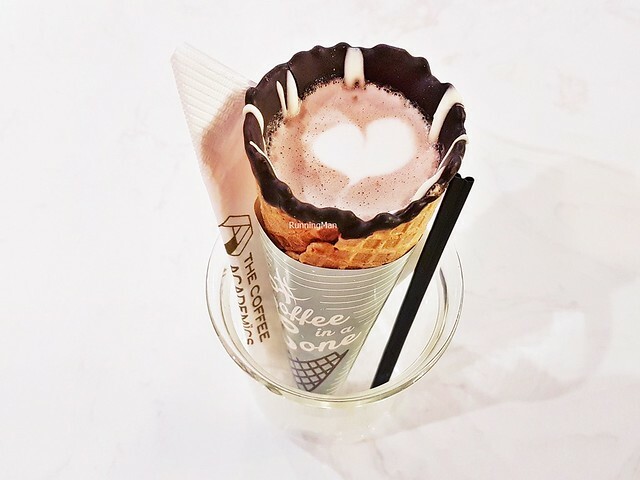 Termed 'most instagrammable beverage' in South Africa, the Hot Chocolate In A Cone (SGD $8.90) is pretty, and that's about it. 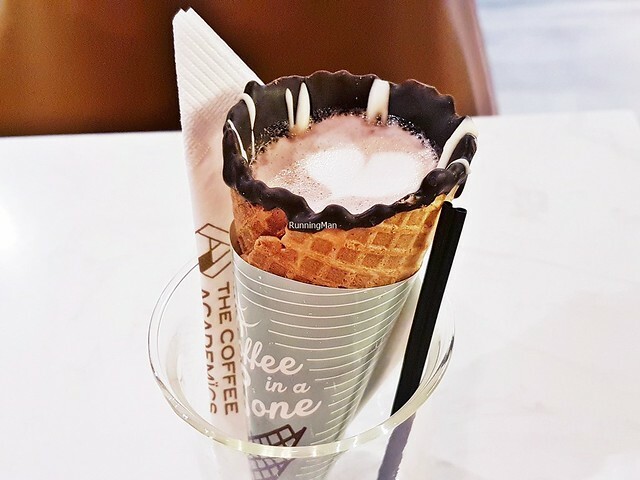 Despite its good looks, the hot chocolate is thin and weak, and the chocolate coated wafer cone is limp from having being exposed too long to open air. Plus, the amount of beverage is paltry, barely able to quench your thirst. Terrible, a total waste of money. Skip this. 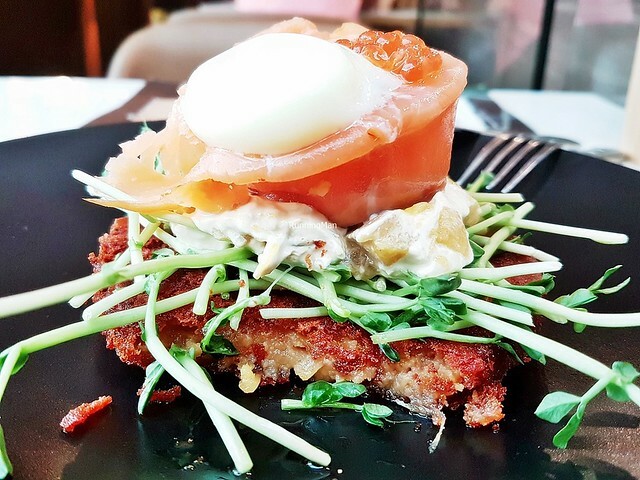 The Le Smoked Salmon Rosti (SGD $23) is a modern European dish, featuring a base of crisp, fluffy, and somewhat oily, beetroot and potato rosti that is nicely savoury. 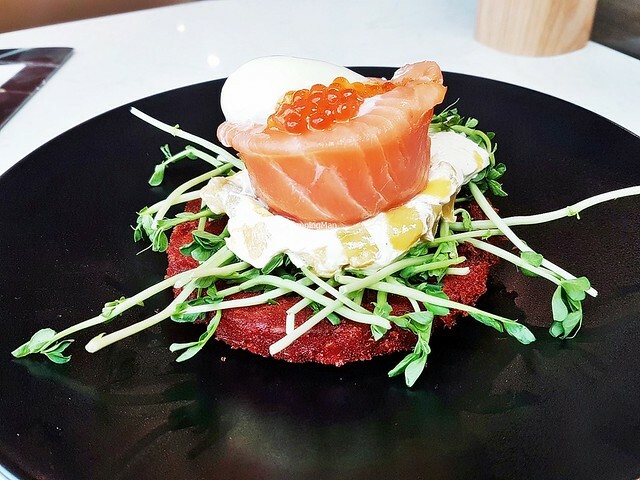 Topped with crunchy and vegetal sweet pea shoots; a refreshing creamy tender and fruity sweet mango and yoghurt tzatziki; a generous portion of luxurious smoked salmon fish that is delicate savoury salty in flavour; a wobbly soft sous vide egg; and briny salty globules of ikura / salmon roe that burst in the mouth. 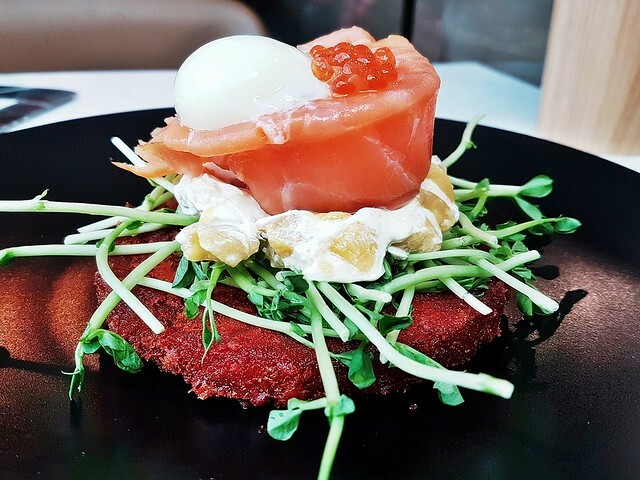 Pairing everything in one bite results in a bold complexity of flavours and textures, yet you still manage to taste the individual components. I liked this. Good! 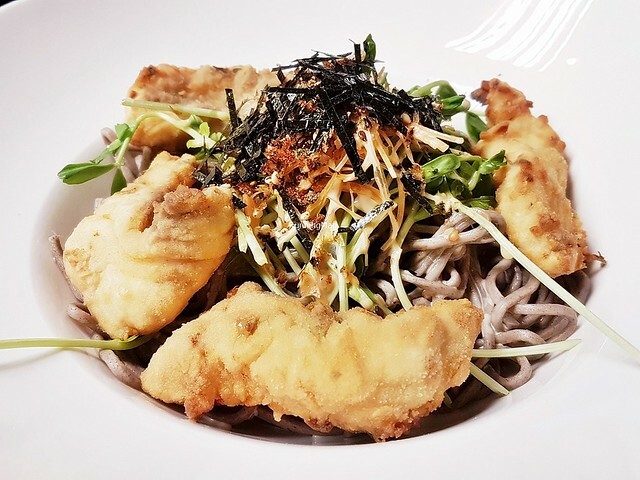 The Snapper Tempura & Chilled Zaru Soba (SGD $22) is a modern Asian dish, featuring a base of slippery, silky, chilled zaru soba / buckwheat noodles, which have a delicate earthy flavour. 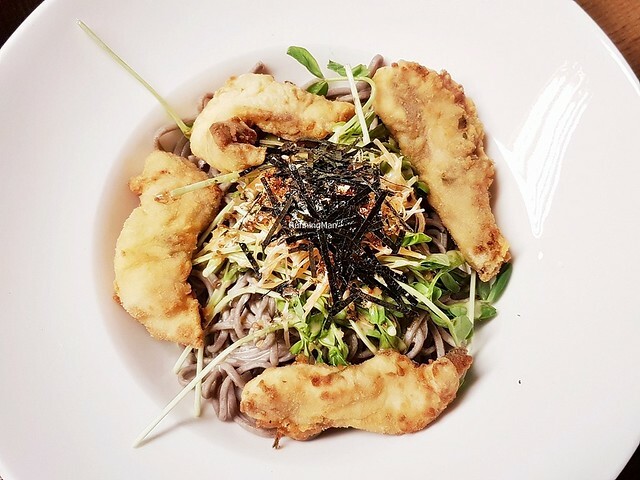 Topped with crunchy and vegetal sweet pea shoots; lightly crisp yet tender tempura snapper fish fillets which hold good sweet savoury flavour; and a sprinkle of crunchy earthy salty nutty kizami nori goma furikake / shredded seaweed and sesame seeds. 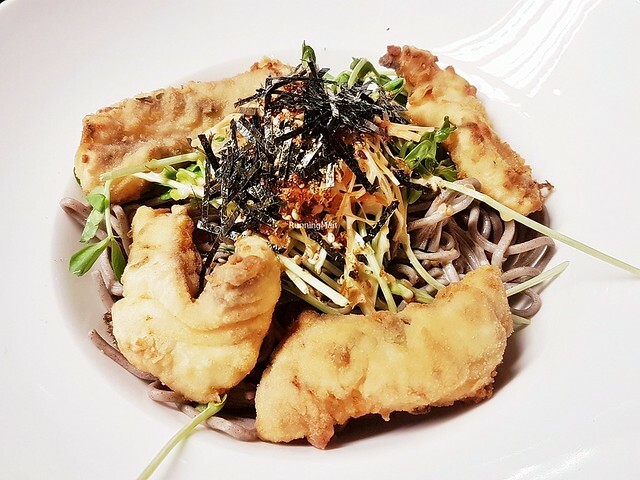 Each bite is so delicious, and so easy to eat. Quite addictive, this disappeared all too quickly. Good! 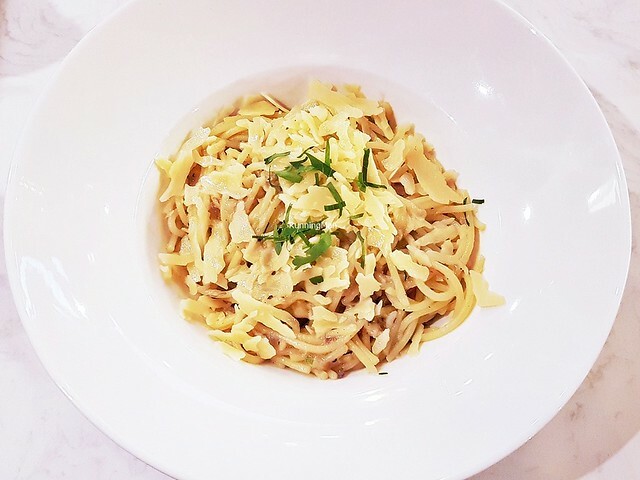 The Crab Meat Spaghetti Aglio Olio (SGD $24) is a modern Singaporean dish, featuring a base of soft spaghetti pasta noodles, tossed in olive oil, garlic, and bird's eye chili. 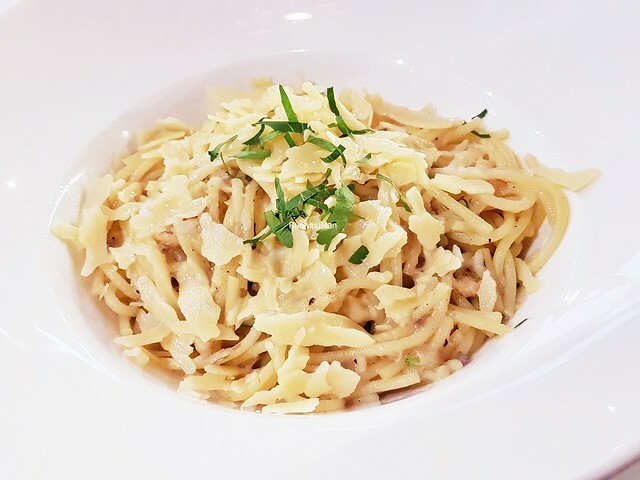 While it's gluten-free, I wish it was more al-dente in texture, with less sharpness of the garlic, and less oily. But I liked the spicy heat, which tickles the palate nicely. 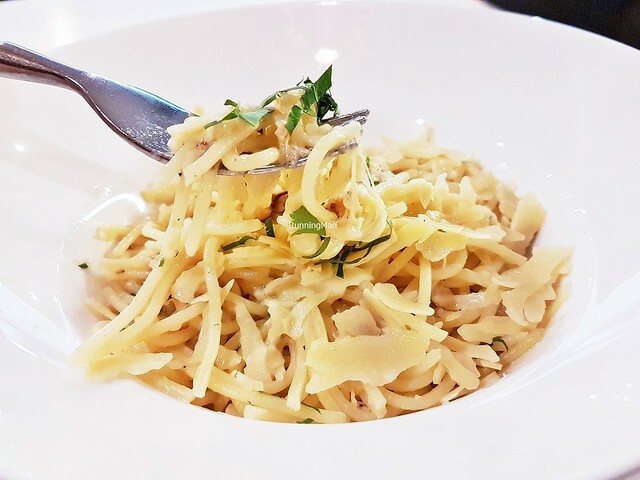 Generous garnish of deshelled crab meat, parmigiano-reggiano cheese, and Italian parsley, resulting in bold flavours of savoury sweet cheesy. 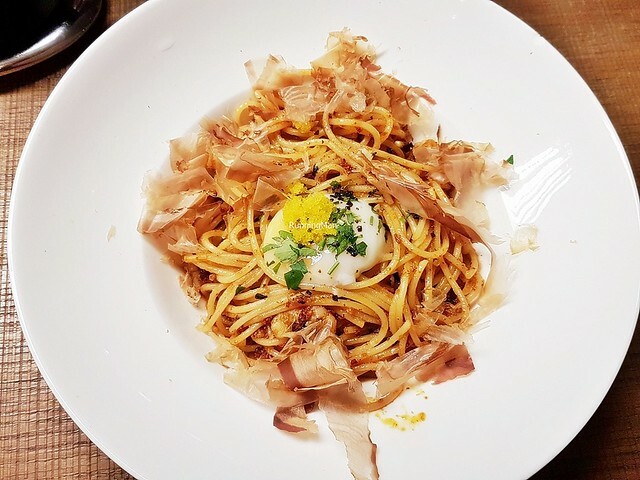 Overall decent dish, but could be so much better. 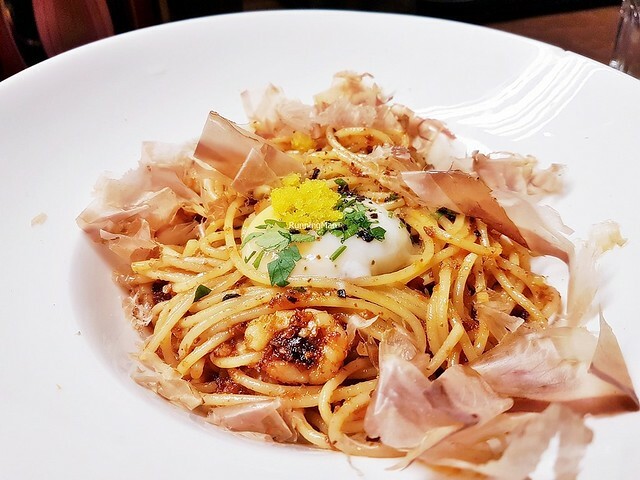 The Umami Shrimp Spaghetti (SGD $21) is a modern Singaporean dish, featuring a base of soft spaghetti pasta noodles, tossed in a sweet and spicy shrimp belachan XO sauce, chili oil, garnished with fresh shrimp, shio kombu / salted seaweed strips, ebiko / shrimp roe, katsuobushi / bonito fish flakes, and a wobbly soft onsen egg. 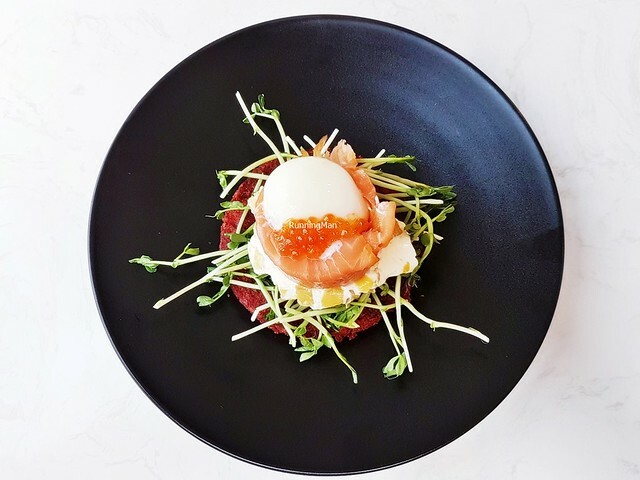 It has loud, in-your-face, savoury spicy flavours, with the egg lending a creamy texture to the dish. Unashamedly intense, with a lingering burn from the fiery heat. 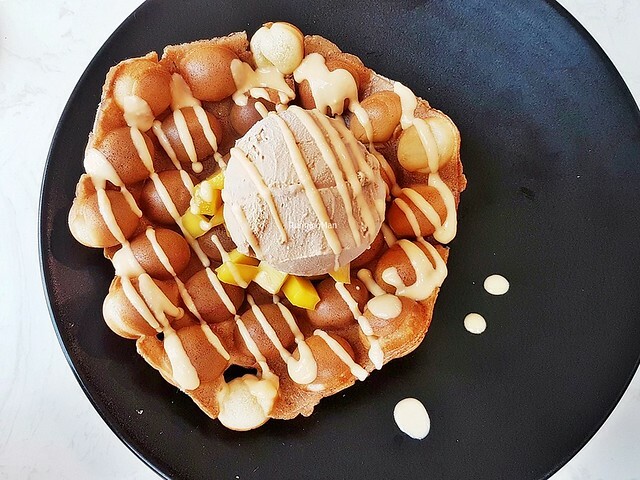 The traditional Hong Kong dessert of Egglet is served as a dessert here, with the TCA Egglet (SGD $19). 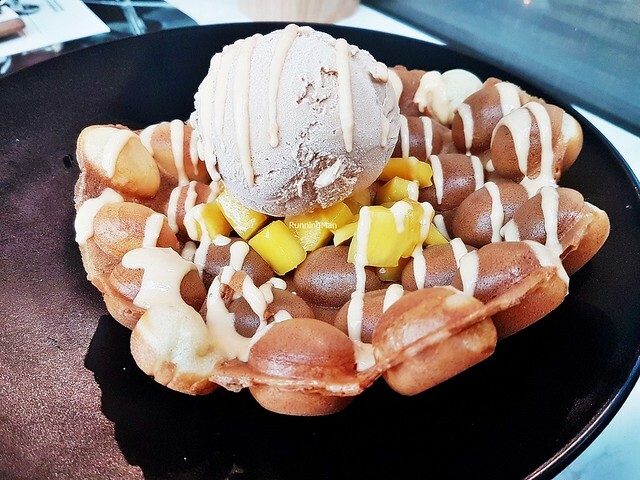 Featuring a crispy crunchy outside, airy soft inside egglet, topped with fruity sweet and tender mango cubes, a light salted egg custard sauce, and a scoop of creamy Hong Kong milk tea ice cream. 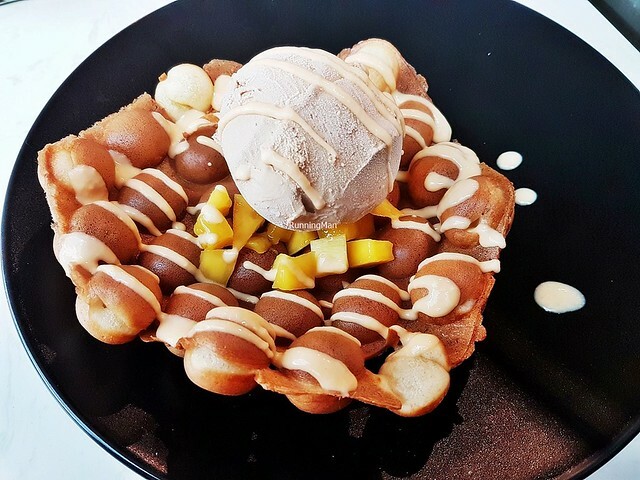 I enjoyed the egglet and the ice cream the most in this dessert, though the mango seemed a little out of place in the overall flavour. This should appeal to most. Worth ordering! 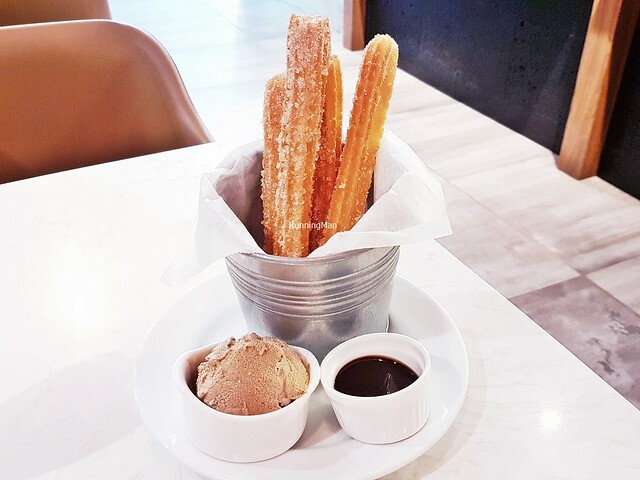 The Academics Cinnamon Churros (SGD $16) is a dessert set. 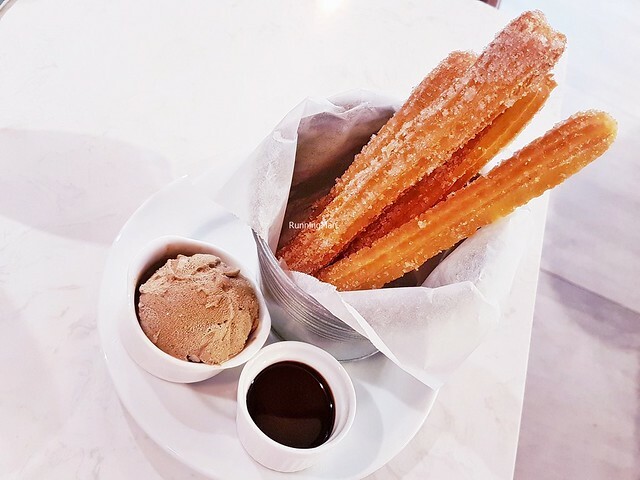 The Cinnamon Churros are piping hot and freshly-fried to order, generously coated with crunchy cinnamon sugar crystals. 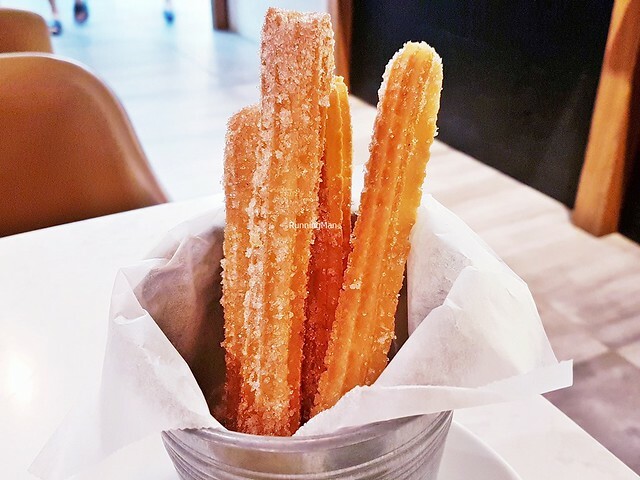 These Mexican churros have a fluffy chewy texture, and are pretty large. 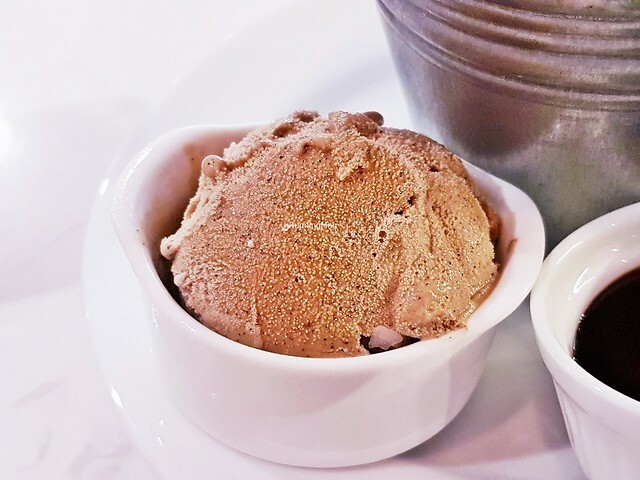 Served with a rich Chocolate Fudge made with 70% Valrhona chocolate, and a scoop of creamy TCA Coffee Gelato, which has a light coffee espresso flavour. I enjoyed this.